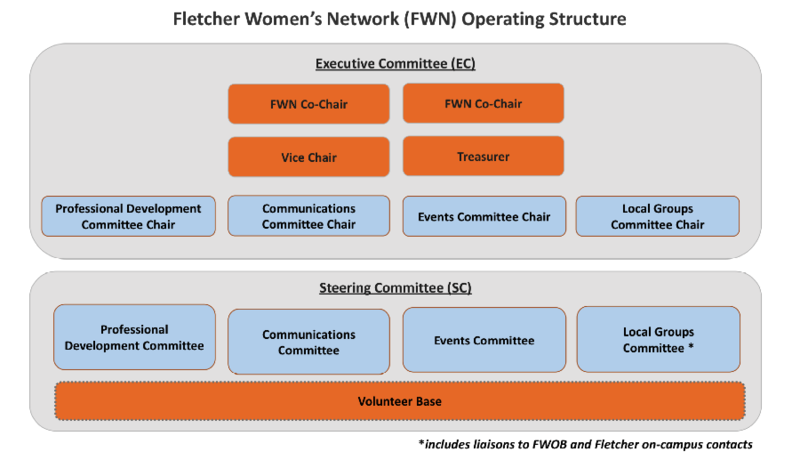 In order to effectively implement FWN’s mission, the network has created an Executive Committee and four Standing Committees: Communications, Events, Local Groups and Professional Development. Each committee is composed of two co-chairs and FWN members who volunteered to serve on the committee. If you are interested in joining one of the committees, please send an email to fletcheralumnae@gmail.com. Listed below are the members of each of the four committees who were voted in as part of the recent election process. You can find out more about these committee members here.